Politicians are addicted to money. That’s unavoidable, it would seem, given the large amounts of money needed to win and keep their places at the center of power and influence. The insurance and health care industries are smart about where they spread their political money, and that’s going to impact on how health care reform is structured and even whether it happens at all. 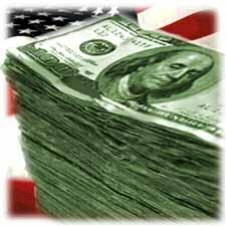 There isn’t anything new about the pernicious influence of money in politics, particularly in the U.S. Congress. What is new is the scale. Passing trillions of dollars in spending without reading the legislation, loading bills with irrelevant and sometimes ludicrous earmarks, no sense of priorities as they diddle with trivia while ignoring important issues — dig deep enough, and in almost every case you find campaign money. Can every politician be bought with contributions, in cash or in kind (such as flying on luxury corporate jets)? No, of course not. But even most of those who aren’t bought outright are still responsive to their contributors. If Congress fails to enact health care reform this year — or if it enacts a sham reform designed to bail out corporate medicine while excluding the “public option” — then the public will rightly blame Democrats, who have no excuse for failure except their own cowardice and corruption. The punishment inflicted by angry voters is likely to be reduced majorities in both the Senate and the House of Representatives — or even the restoration of Republican rule on Capitol Hill. The excuses sound different, but all of these lawmakers have something in common — namely, their abject dependence on campaign contributions from the insurance and pharmaceutical corporations fighting against real reform. Consider [Sen. Mary Landrieu, D-La. ], a senator from a very poor state whose working-class constituents badly need universal coverage (and many of whom now depend on Medicare, a popular government program). According to the Center for Responsive Politics, a nonpartisan watchdog outfit, she has received nearly $1.7 million from corporate medical interests, including hospitals, insurance companies, nursing homes and drug firms, during the course of her political career. Whenever Democratic politicians are confronted with this conflict between the public interest and their private fund-raising, they take offense at the implied insult. They protest … that they make policy decisions based on what is best for the people of their states, “not campaign contributions.” But when health reform fails — or turns into a trough for their contributors, who will believe them? And who will vote for them? It would be foolish to predict that the Democratic majority will be rousted in 2010 or 2012, to be replaced again with a Republican majority. But if this continues, I wouldn’t be surprised to see some blood-letting in at least a few House and Senate elections. I know for sure that my votes for my representative in 2010, one senator in 2012, and another senator in 2014 will be heavily influenced by how they go about spending trillions of taxpayer money during this economic crisis. I’m sure they’re quaking in their boots. As the old saying goes, when legislation can be bought and sold, the first thing to be bought and sold will be legislators. If the House actually followed Art I Sec 3, we probably wouldn’t be looking at the mess we have. Let’s just go back 20 years. The federal government has spent what, $30-40 TRILLION dollars since Bush I was inaugurated? That’s too much, and I don’t really care what your political stripe is. I don’t know how much money is too much. I just wish the amount spent more closely matched the amount coming in, particularly now. Politics and money are irrevocably tied together, and not just in the U.S. I don’t know what the answer is. Every effort that’s been made so far to “reform” campaign financing and lobbying has been ineffective.